Property 1: The sea border on Jatiúca Cond. JTR. Apt. Suite / room / kitchen accommodates four people. Property 5: Beach of Jatiúca, apê of high standard in noble area of Maceió. Room and room w / WI-FI, 500M beach Green tip, w / pool, DESC. PROGRESSIVE. Property 14: Room and room w / WI-FI, 500M beach Green tip, w / pool, DESC. PROGRESSIVE. JTR - Excellent Cond Apt by the sea. 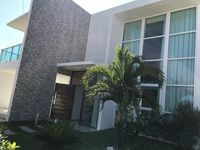 Property 20: JTR - Excellent Cond Apt by the sea. Property 22: Room / Room Furnished, WI-FI, 440m Ponta Verde beach. PROGRESSIVE DISCOUNTS !! Apt stud with 1 bed. room - coz. . AC, Vent., 5 guests. - Wink. Colet. WIFI. Property 23: Apt stud with 1 bed. room - coz. . AC, Vent., 5 guests. - Wink. Colet. WIFI. Excellent apartment in the heart of Ponta Verde! Property 27: Excellent apartment in the heart of Ponta Verde! 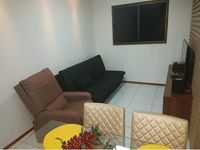 Property 28: Apt season in Jatiúca Beach, 3 qts + Depend. Property 31: Ap 2/4 being 1 suite at 50 meters from Ponta Verde beach !!! Property 46: Bungalow in Resort Villas of Pratagy with Jacuzzi Exclusive! Property 49: Excellent house with 6 bedrooms, swimming pool and sea view at 50m from the beach. Property 50: BSM SEASIDE LUXURY APARTMENT IN MACEIO. Excelente apto, o Arthur &eacute; um &oacute;timo anfitri&atilde;o. Atencioso, educado e lhe d&aacute; todas as dicas necess&aacute;rias para a estadia. O apto tem utens&iacute;lios novos, &eacute; bem localizado e confort&aacute;vel. Voltarei sempre que poss&iacute;vel!